"In a world so easily satisfied with images, it’s too easy to waste our lives watching mindless television and squandering our free time away with entertainment. We have a higher calling. God has called us to live our lives by faith and not by sight—and this can mean nothing less than committing our lives to the pursuit of language, revelation, and great books. Reinke, Tony (2011-09-07). 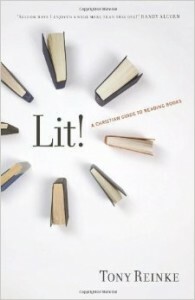 Lit! : A Christian Guide to Reading Books (p. 50). Good News Publishers. Kindle Edition.